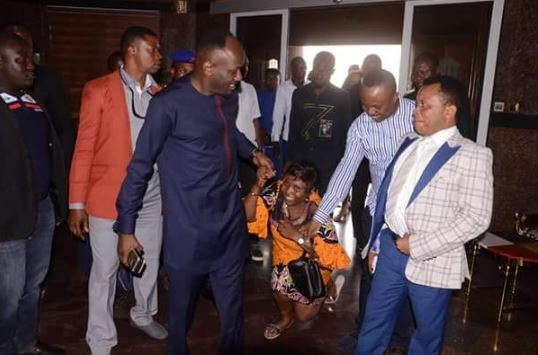 Apostle Johnson Suleman is one ‘Man of God’ who has garnered a lot of die-hard followers in Nigeria. 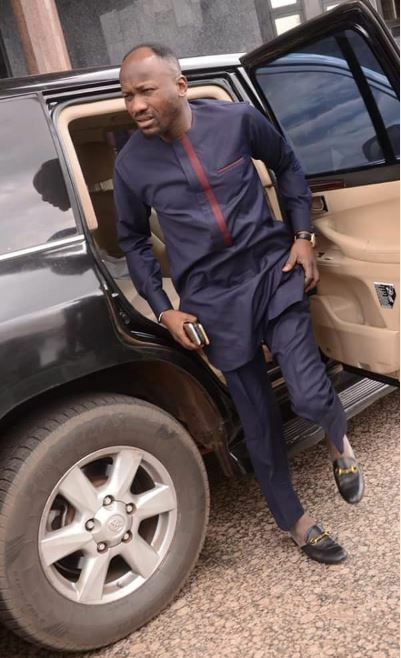 The leader of the “Omega Fire Ministries” is highly revered among his members who make sure they show him immense respect every time he makes an outing. On social media, the cleric’s members are more than ready to defend his every action. 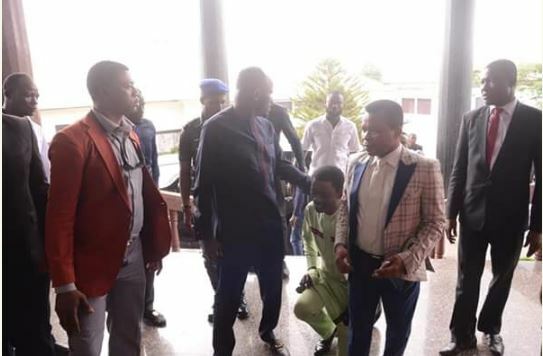 As always, the cleric’s followers have been seen welcoming him to Enugu state in style. 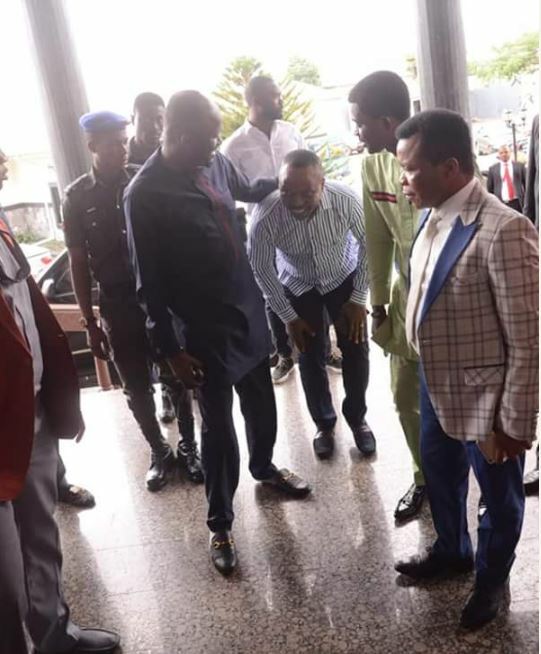 Photos making the round online, show Apostle Suleman arriving Enugu state in a long convoy before going on to be welcomed by followers who knelt down to receive him. 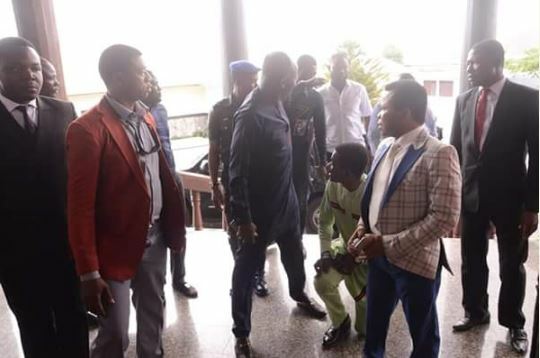 The pastor reportedly stormed Enugu state on Wednesday to hold a programme.